Malachite is a green copper carbonate mineral. Its name could have come from the Greek word, "malache" which means "mallow", because the colour of malachite is similar to the colour of mallow leaf. 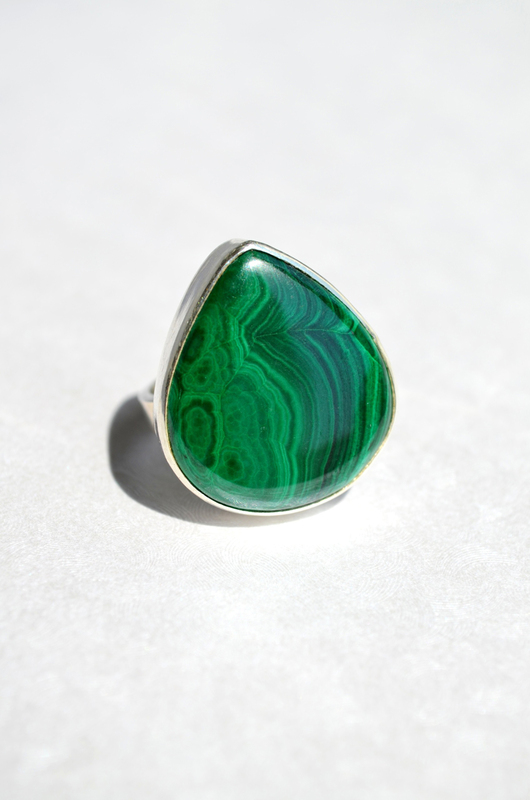 Alternatively, the name could have originated in the Greek word, "malakos", which means "soft", due to the fact that malachite is soft compared with other minerals. 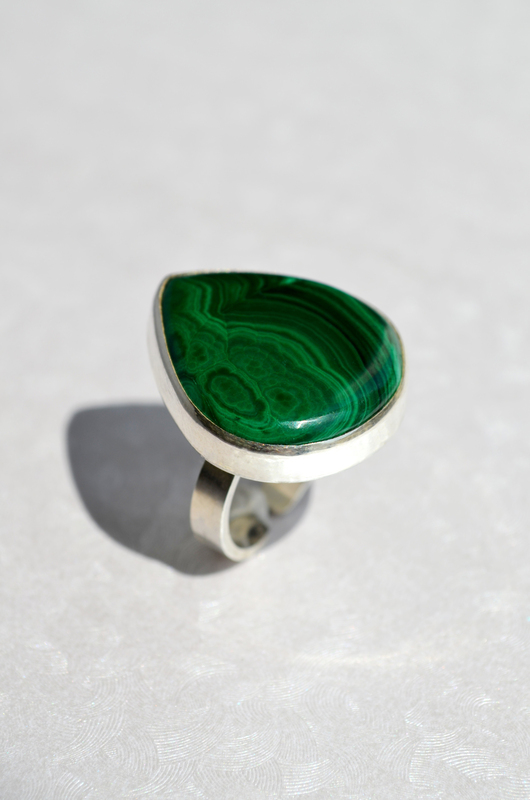 Ancient Egyptians, Greeks and Romans made malachite into amulets to provide protection from the evil eye and in the Middle Ages it was used to protect children from witches and black magic. 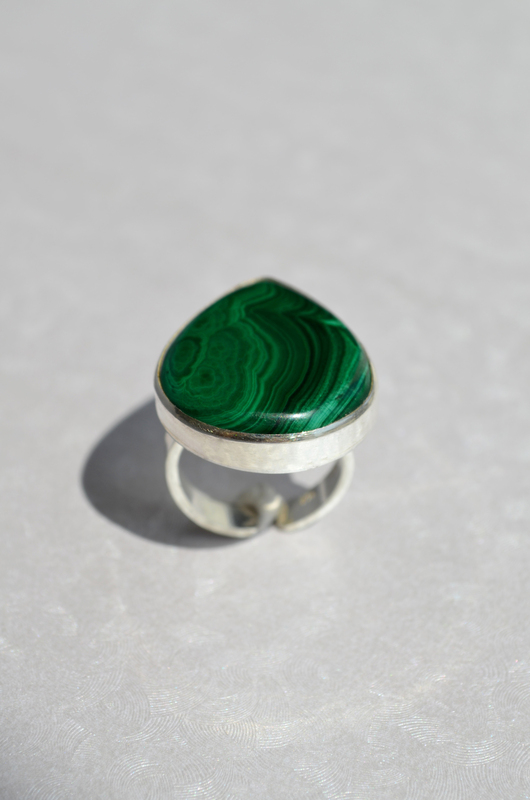 In fact, malachite was believed to warn its wearer of impending danger by breaking into pieces. 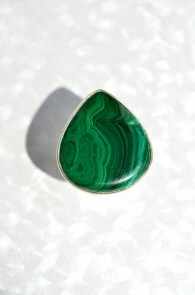 Some say that malachite mirrors the feelings of the wearer, so it is best to wear it when feeling positive.